You have an insatiable craving to gather your community in intentional, impactful ways. You’re excited to expand your teaching toolkit and nourish yourself along the way. You believe in the power of our stories and you know that creativity is transformative. You are an integral part of this circle. 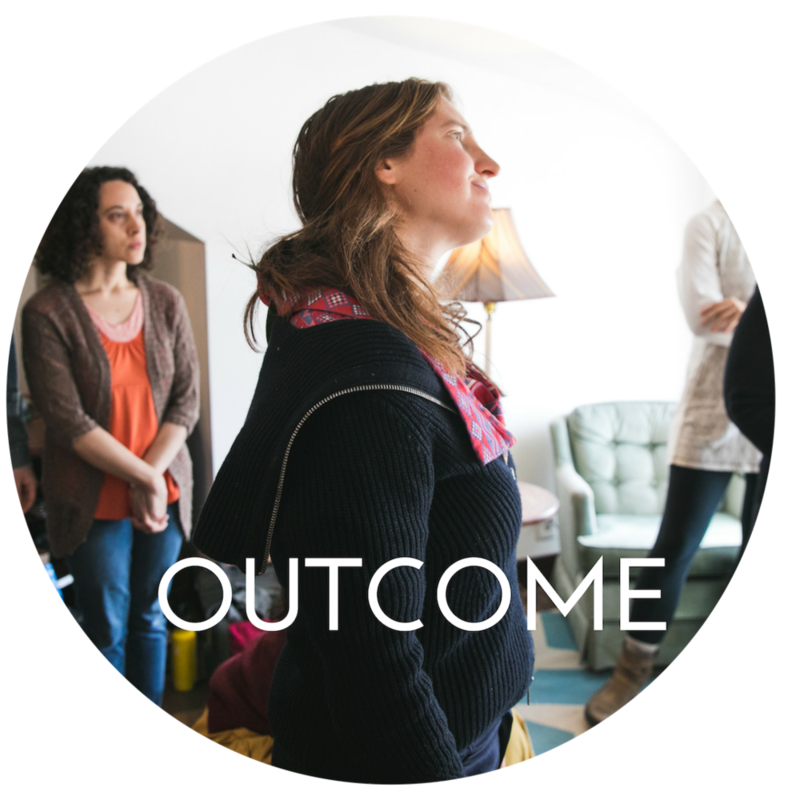 You’ve been dreaming and planning, feeling an offer percolate inside your heart and soul, something you are ready to bring to the light and share with your community. You are ready to translate your passion into an offering that is truly of service and aligned with your right livelihood. Now is the time for us to raise our voices louder, to usher our visions into being, and to create spaces for others to do the same. The Catalyst Leadership Immersion is a four-month cohort for artists, community-workers, and changemakers ready to step into your capacity as an engaged facilitator and design and lead programs, retreats, and workshops with intention and impact. Leading a meaningful in-person experience takes more than just gathering people in a room. As circle-holders and community-connectors, how do we utilize creativity not just in what we teach but how we teach? How do we facilitate for integration and impact? How do we stay present with whatever unfolds in our workshops while not losing sight of our intention? How do we invite and encourage diverse perspectives? How do we best support our students? And how do we honor our own needs in the process? 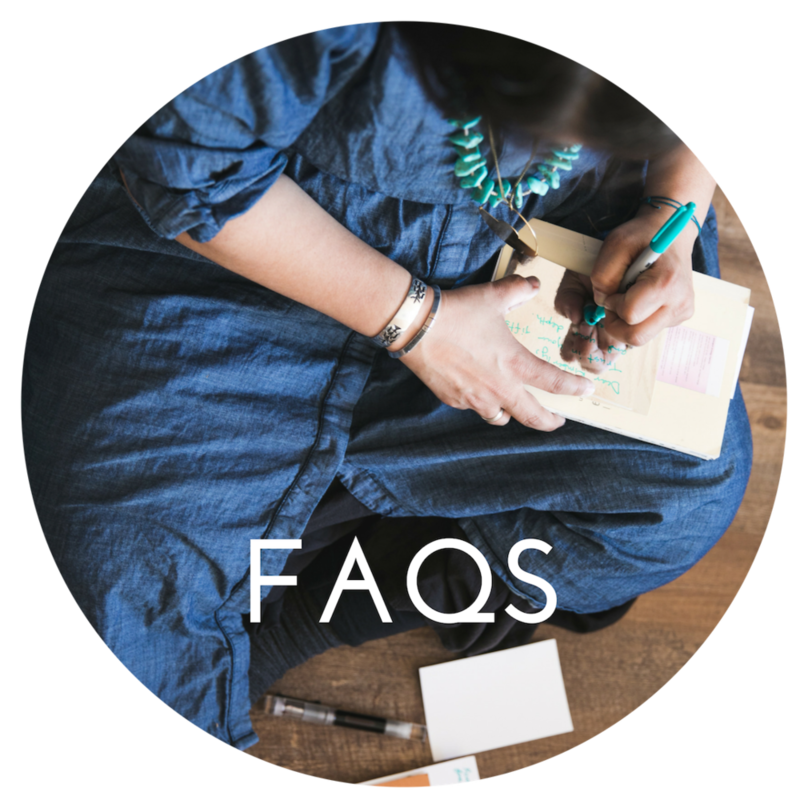 During four months of both in-person gatherings and personalized mentorship sessions, we will explore answers to these questions. There is no need to create in isolation, rely solely on intuition, or simply borrow from others, not knowing if your lessons will land and resonate. Take the guesswork out of it. In a supportive environment of your peers, learn how to both design and deliver your own meaningful in-person program, workshop, or retreat. Step into your capacity, clarity, and confidence. Step into your community. We will gather together at a gorgeous Portland, Oregon studio for three full and inspiring weekends. These days will center on the foundation of facilitation — exploring what it means to create a learning environment that supports our desired outcomes, daring us to go deeper, to trust ourselves, and to meld both theory and practice. We will explore techniques that engage and energize our communities and classrooms. We will hold deliberate space for one another. We will design programs committed to inclusion and justice. Our work will be firmly rooted in a reciprocal notion of the student-teacher relationship — understanding that each person has something to learn and something to teach. Each weekend session will offer a mix of experiential lessons through the use of theatre, writing, hands-on art-making, song, movement, and rooted ritual. You'll be invited to participate, reflect, co-lead, make things your own, and determine what tools you want to add to your own facilitation toolkit. This isn’t about one right way or one method. This is about choosing what works for you from a breadth of time-tested tools. Shy folks and introverts are welcomed and encouraged. Extroverts too! We will all cultivate our unique style. Every month, you and I will connect for a one-on-one, heart-to-heart, individual phone session to dive into the logistics of your unique vision. This is the time where you take what we’ve been learning and make it fully your own. Through a solid structure of support we will grow the seed of your idea into a flourishing, fully realized curriculum. This might be a core one-day offer, a signature multi-day retreat, or an on-going course. This may also be the place where you give new life to your pre-existing program. You’ll create inspiring lessons, design and practice opening and closing activities, and outline a program curriculum that showcases your skillset and style. At the end of our four-months you will stand sure and confidently in your skills as a facilitator and guide. Come September, you will have your own unique curriculum complete with creative exercises, ready to teach. You will have a concrete action plan of how to share and promote your new program, as well as clear language framing how you write about and speak about your offer. You will be set and ready for a fall launch of your brand new program! You will have trust in your capacity to lead groups, use your voice, and offer your skills in service to your community. You will have an overflowing toolkit of now personalized lessons, activities, and practices that you can use seamlessly in future programs. You will have laid the groundwork for a program that can support you on a soul-level and a financial level, lifting up your capacity for right livelihood. You will have a community of supporters who have your back and believe in your vision. You'll complete our four-months as a graduate of the Catalyst Cohort — a distinction you can feature on your website and marketing materials. You will also have my endorsement and commitment to uplifting your work and sharing about your offer within my own community. Like a stone skipping across the water — this Cohort is all about the ripples of impact — our circles expanding and reverberating as we take the leap to activate our calling. Circles of impact as we cultivate confidence in ourselves. Circles of impact as we connect with our group of risk takers and vision activators. Circles of impact as we share our work with others, inviting new people into our spheres, and catalyzing our community. This is the place where my life’s work meets my heart’s pull — the place I feel most alive, most aligned, most myself. Where I am able to truly be of service — holding space, cultivating creativity, and supporting you to go deeper into your capacity as a leader. I'm committed to creating an intentional container where mistakes are welcome, stories are sacred, and process is just as valuable as outcome. I have worked alongside renowned artist and teacher Flora Bowley at her sold out workshops. I have designed multi-month artistic residencies for high school students exploring body image and identity through photography and theatre. I have led entrepreneurs on immersive retreats to connect to the heart of their work. My own studies include a Master's Degree in Conflict Resolution, 80 completed course hours in Mediation, a certification through the PYE-Global Partnership for Youth Empowerment's Heart of Facilitation Leadership program, and graduation from the Process Work Institute's Winter Intensive. I have had the honor of supporting hundreds of creatives and changemakers to nurture their inspired ideas into fully engaged, robust in-person offerings. Clients I have collaborated with have gone on to share their unique programs addressing identity, culture, community, art, and story.